Burmese military jetfighters bombed the Kachin Baptist Mission School in Bawmwang village, northern Kachin State, at 11am on 12 May. While there were no casualties, the bombs hit buildings belonging to the school. The attack took place while the villagers were at work on their farms. A two-storey wooden building which used to be the mission office and clinic of the American Baptist missionaries and was later used as the main office of the Kachin Baptist Mission School was hit in the attack. With the cooperation of the Kachin Baptist Convention (KBC), the Hkahku Kachin Baptist Association has run a mission middle school in Bawmwang village since the early 1990s. Bawmwang village is located in Mali-Hkrang Walawng, also known ‘Triangle’, in northern Kachin State, and is in the Kachin Independence Army’s (KIA’s) First Brigade administrative territory. 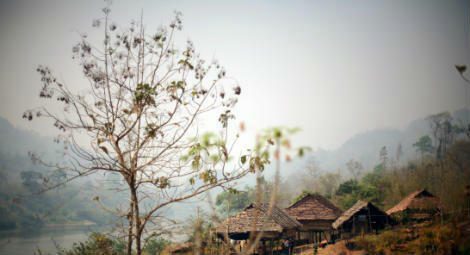 In recent years, the Burmese army’s offensive has escalated in Kachin areas. The army not only target the KIA’s military posts, but also civilian areas including religious centres. Bawmwang is over ten miles away from the KIA’s Seventh Battalion. Concerns remain that the Burma Army is increasingly targeting civilians, following the United Nations Security Council (UNSC) visit to Burma from 28 April -1 May 2018.